Red Wheel ∕ Weiser Online Bookstore | Matter Into Feeling: A New Alchemy of Science and Spirit by Fred Alan Wolf, Ph.D.
What's unique about being human? We experience feelings. 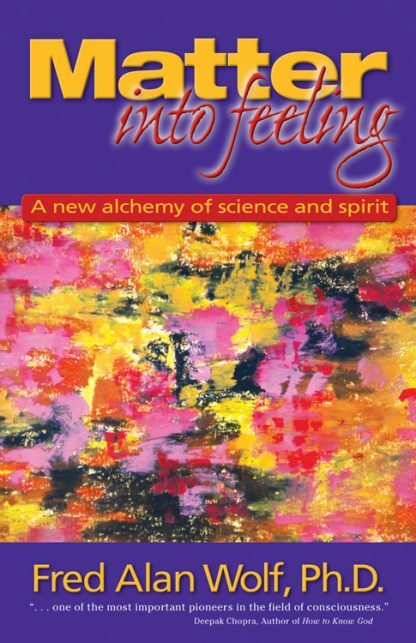 Once again bridging the gap between spirituality and quantum physics, Fred Alan Wolf takes us on an exciting journey toward understanding where our feelings come from and how we can work with them to create more abundant and joyful lives. In his follow-up to Mind into Matter, Dr. Wolf guides us through the conflicts and resistances we feel as physical beings--the everyday demands, addictions, successes, and failures we experience--and into an understanding that being "stuck" is only a phase, one from which we can escape once we understand the origin and role of human feeling.